Looking to give your hair a boost? 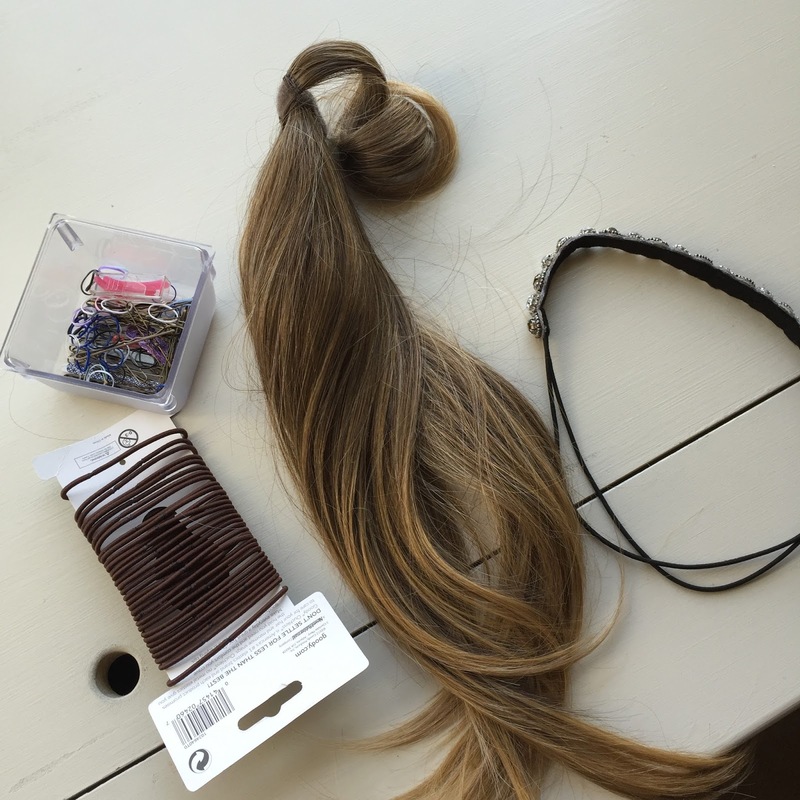 Say HELLO to the Pony Tail Extension! 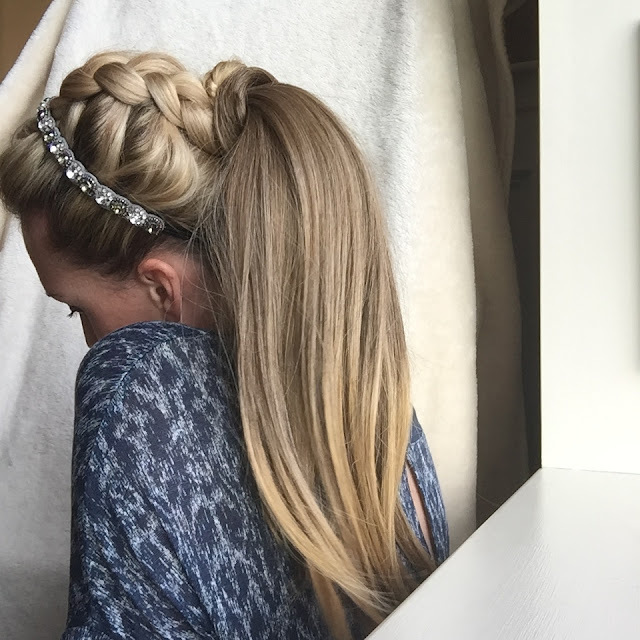 If you want to give your 'do that extra wow factor, give the Phony Tail a try. I've created five looks, aside from the regular pony tail in which the piece was designed for, to showcase how versatile this extension is. All of them took me about 5-10 minutes to complete. I purchased the extension on Amazon. It only costs around $20 and I've owned it for about four years. It's still in excellent condition! I never use hair spray on it and i've never heat styled it. After each use I brush out the tangles and store it in the original box. The extension is 18" long and the color is 'Buttered Toast' or R1416T. I find it blends very nicely with my hair considering it's synthetic. It looks just as fabulous in a regular Pony. You can find a tutorial for that over at The Beauty Department. For this look, I wanted length and wore the pony tail draped over the front of my shoulder. 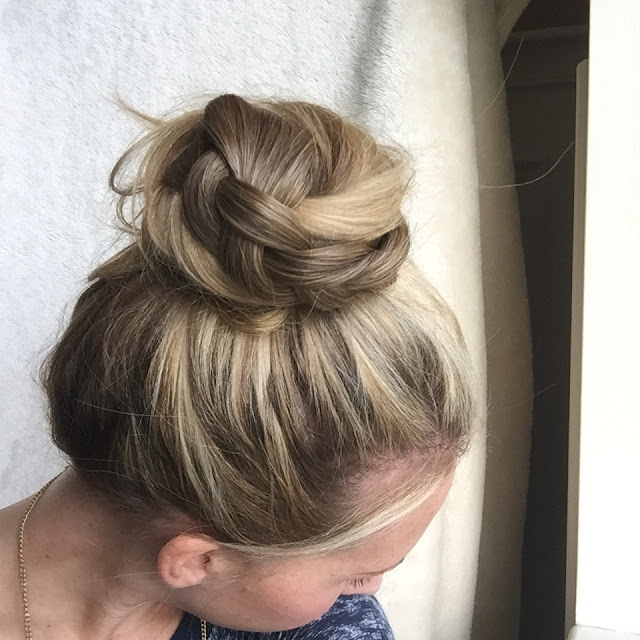 This is just a little something extra for a top knot or messy bun. It also adds volume. The more hair you hair, the thicker your braid will be. 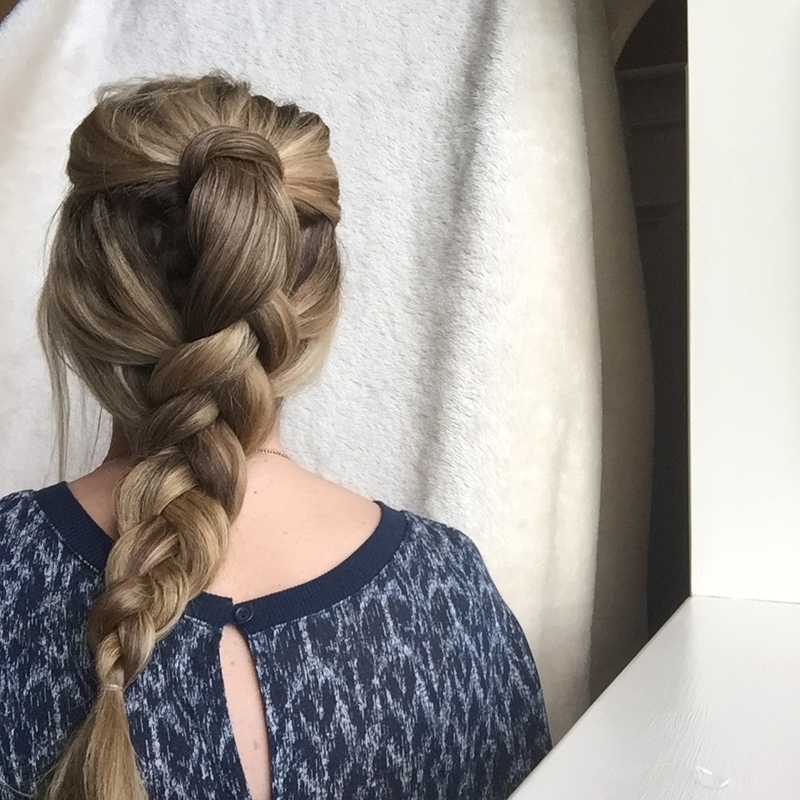 This look is a nice whimsy beefed up braid. 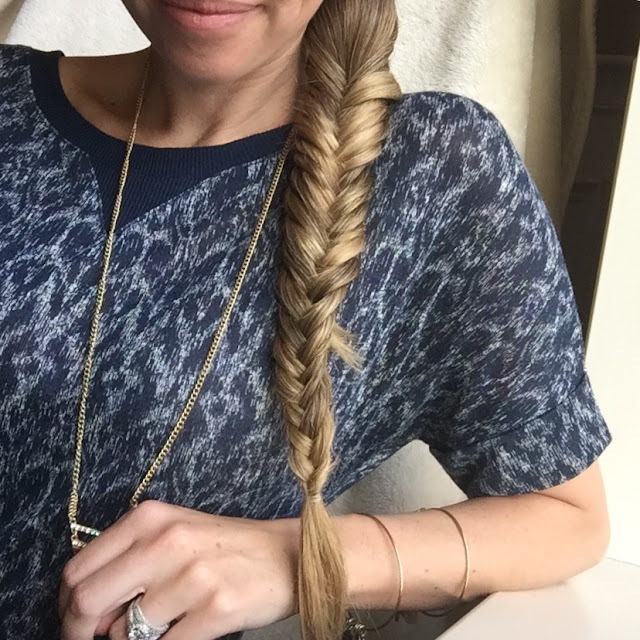 This is a fishtail braid. You could do this in a high pony or low side one as shown. This is a french braid that meets the pony tail. 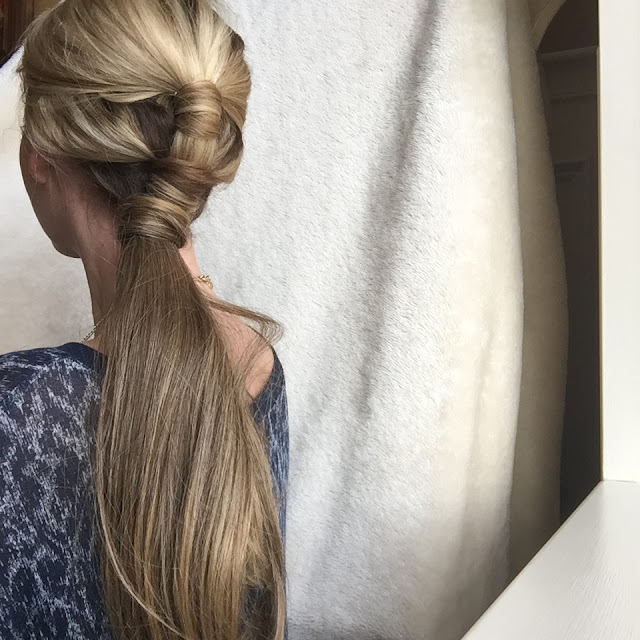 I used half of my hair for the braid, so adding the Phony Tail gives it nice, full volume that I wouldn't have otherwise. Love this! The phony tail always looks so fake, but you make it look amazing!! Great job! I must try!